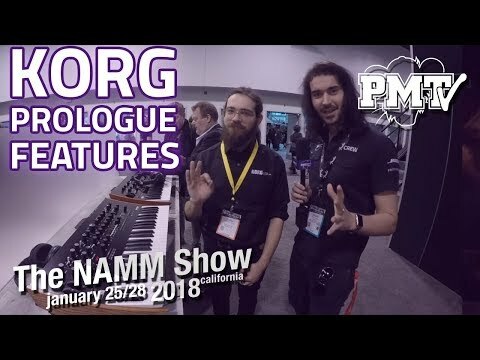 The long-awaited followup to the Korg Minilogue and Monologue is finally here - meet the Korg Prologue 8. Powerful Bi-Timbral Analogue Synth.. 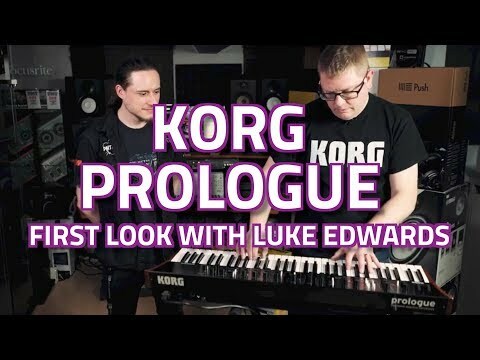 The long-awaited followup to the Korg Minilogue and Monologue is finally here - meet the Korg Prologue 8. 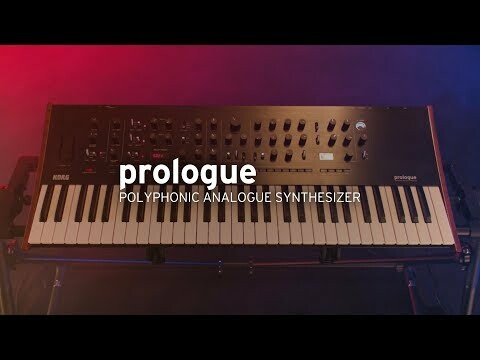 Korg Prologue 8 represents the new generation of analogue programming for Korg - a fully user customizable synth that combines a full-sized 49-note keybed, DSP effects and a new 8-voice polyphonic, multi-timbral synth engine. 4 voice modes, Noise Generator, FM Oscillator and a built-in Arpeggiator give the Prologue unprecedented sonic capability. Considering the impressive feature list, Korg Prologue 8 is a surprisingly affordable addition to any analogue studio setup for those that like to craft the perfect studio sound, as well as perform live with a new level of freedom. Noise Generator, VPM Oscillator and 16 User Wavetable Slots. In addition to distinctive, original circuitry, such as wave shaping to shape the oscillator’s overtones and a sync/ring switch, prologue also features a two-pole low pass filter with enhanced sharpness, drive that adds powerful distortion, and a low cut (high pass) switch. Every detail has been improved on from minilogue and monologue. Its sound covers every sonic possibility: fat basses, powerful leads, and the beautiful pads that you expect from a polyphonic synthesizer. Prologue also features a Noise Generator for added depth and texture to your sounds. The VPM (Variable Phase Modulation) / FM oscillator was newly developed for prologue. Its metallic and sharp sounds with their complex overtones could never be obtained by traditional analogue methods. With 16 Oscillator Types and the SHAPE knob, you can intuitively dial in complex and lush sounds without spending hours learning the interface. Combine these rich new textures with Prologue's analogue filters and you've got an almost limitless sonic soundscape to work with. The built-in Prologue Arpeggiator features a 4-octave range and 6 arp types for complex and intricate melodic runs not possible playing manually. 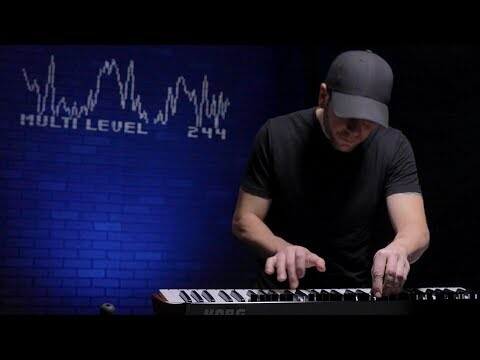 The Arpeggiator has become a standard feature for most modern synths, but combined with the level of user customization and effects on Prologue - this is a whole new beast. 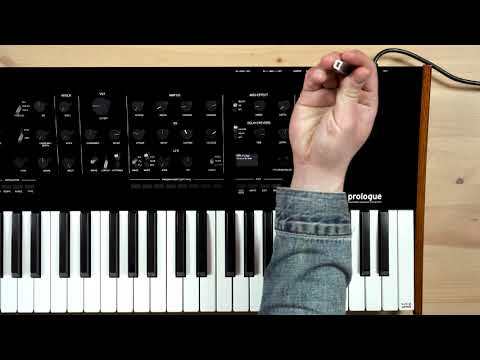 Korg Prologue 8 provides 4 independent voice modes that completely re-define the possibilities for a poly synth of this size. In standard POLY mode, you get up to 8 note polyphonic playback as expected. MONO mode can be used in conjunction with a sub-oscillator for powerful sub bass performance, one note at a time. UNISON offers a much thicker, warmer lead synth sound by combining all voices together. Finally, CHORD is a brand new play mode that offers complex chords to be played with one finger. You can also blend the intensity of these modes by using the DEPTH knob. The Korg Prologue 8 is a two-timbre synthesizer that lets you play two different programs simultaneously. In addition to layer and split, you can use crossfade to smoothly transition between the main timbre and sub timbre. Utilising 24-bit floating-point processing, Prologue's effects engine sets a new standard for analogue synthesizers in this price bracket. It features dual effect units to be used side-by-side - a modulation slot and Reverb/Delay. Dial in a wide range of sounds from a lush chorus or ensemble, tape delay or reverb patterns. Traditionally, analogue synths can be clunky to use and find the right sound. Preset Management is made super easy on the Prologue 8, courtesy of eight programme sorting methods. You can sort by category, alphabetical order, use LIKE to view the programs that you marked as your favourites, FREQUENT to sort the programs in order of their frequency of use, or ENVELOPE to sort the programs in order of their envelope shape (note duration). Thanks to a Japanese-made, natural touch keybed and oak wood side panels, Prologue is expressive for studio and live performance, emenating the feel of a boutique synthesizer with a classic look.